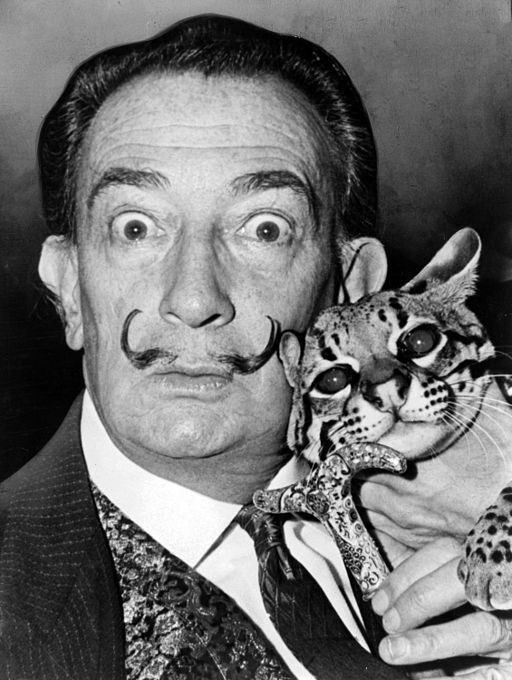 Salvador Dali is one of the most notable surrealist artists known today. He was born on May 11, 1904 in Figueres, Spain. 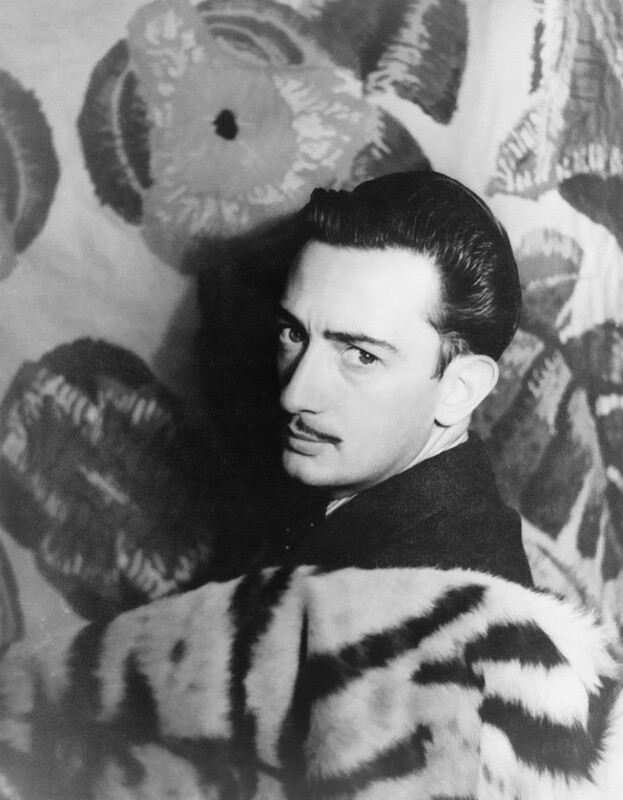 He was the second son of Salvador Dali and Felipa Domenech Ferres, his older brother also named Salvador died at an early age due to gastroenteritis. His father is a strict and authoritarian parent which stood in contrast to his mother’s doting nature. As a child, Dali was characterized as eccentric and prone to bursts of anger. Dali’s relationship with his father has been consistently tense and carried on until his adulthood. He often credited his childhood as one of his inspirations for his art. Dali’s formal training as an artist began when he attended the Madrid School of Fine Arts in 1921. He was originally interested in impressionist and Pointilist styles in his art but then abandoned it later on. In his experimentation on styles he unraveled his interest in reimagining reality through modifying perception. Freud’s work on The Interpretation of Dreams had a great deal of influence on Dali. Freud postulated that dreams show repressed emotions such as those of desires, sexuality and violence. Freud’s theory impacted the works of Dali reflected in his use of psychoanalytic methods in tapping his subconscious in order to create imagery. Dali was then expelled from the art academy in 1924. This did not hamper his career in the arts. By this time, he was already exhibiting works in Madrid and was welcomed in the circle of artists on the locality. By the late 1920s Dali moved to Paris where he met Andre Breton and joined his band of surrealists. Surrealism is a movement in arts and literature that eludes rationality and preconceived notions of reality. It is a novel way of expression that taps on the imagination and the unconscious. Its elements are like a dream where those that are deemed unnatural and improbable are made possible. The movement believes that the mind is repressed by rationality thus having notions of what is forbidden. Surrealists in the arts make use of imagery generally characterized as outlandish and bizarre. Its goal to the viewer of the image is to shake their personal views of what is conventional. One important element of surrealist art is free association where the objects are strangely juxtaposed with each other thus creating images that are unexpected and unsettling. At this time, his paintings were mostly depicting imagery that shows bodies, bones, and objects that depict anxiousness and unease. By 1934, Dali was expelled from the Surrealists due to differing political views. In 1937, he moved to Italy and engaged in more classical techniques that are emotionally charged. Religious and supernatural elements were then the subject of Dali’s works by his later days. Dali retired from painting in the 1980s due to a condition which made his hands weak and perpetually tremble rendering him unable to hold a paintbrush and in 1982, In January 23, 1989, Salvador Dali died of a heart ailment. His wake was held at the Teatro Museo. Dali is best known for his work The Persistence of Memory which depicts melting clocks laid out in a landscape by the sea inspired by the scenery of Catalonia, Spain. According to Museum of Modern Art (MoMA), “the ants and melting clocks are recognizable images that Dalí placed in an unfamiliar context or rendered in an unfamiliar way.” There is an unrecognizable creature with warped nose-like features with long lashes in the middle which is often understood as a self-portrait. It is said that time is the important element here as shown by the melting clocks and ants crowding showing decay. These absurd images are laid out in a hint of reality showing the seaside landscape and cliffs of Catalonia. Dali adheres to Breton’s theory of automatism where he claims that he does not know the meanings behind the objects and images he produces. Surrealism is an artistic style that is volatile. It is often viewed as indefinable because artists would have their own motifs and recurring imagery. Artists would sometimes do away with the strict label of being a surrealist but would have works that tap on the absurd and bizarre. Artist Frida Kahlo is celebrated as a surrealist but would prefer not to be labeled as one.